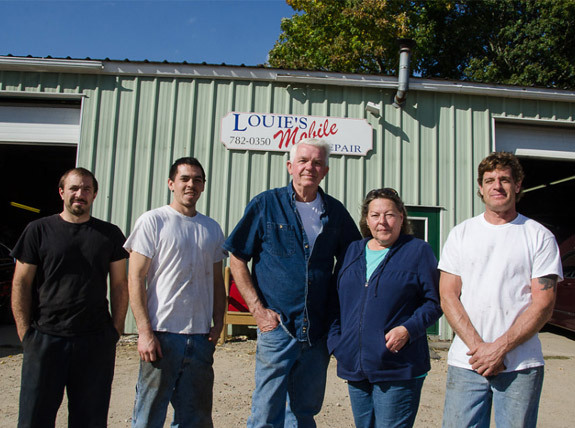 Louie's Mobile Repair has been repairing cars in South Kingston, RI since providing quality car care in Wakefield, RI since 1989. Because we have been repairing cars for over 25 years we have fixed almost every repair issue you may need. In many garages the owner remains the same but the repair staff cycles in and out. This is not the case with our garage. The owner is in the garage and our two mechanics have been with us for over ten years. We are able to give the benefits of a long time established local business and maintain the personal service of a family owned business. We will repair your car like it was our own. Call today, 401-782-0350, for an appointment to repair your car. We service Rhode Island including South Kingstown, Wakefield, Peacedale, Kingston, North Kingstown, West Kingston, Narragansett, Point Judith, South County, Exeter, Charlestown, Saunderstown, Wickford and all of RI.